For years now, health experts have been warning that many children are spending too much time in front of a computer, video game, mobile device or television screen. The result, they say, is that many kids are not getting the exercise they need to maintain good physical health. But, as it turns out, that may not be the only damage being done. The latest research shows that excessive screen time may also have a negative impact on children's brain development, social skills and mental health. Children who spend an excessive amount of time in front of a screen may be missing out on important experiences that support positive social and emotional learning. 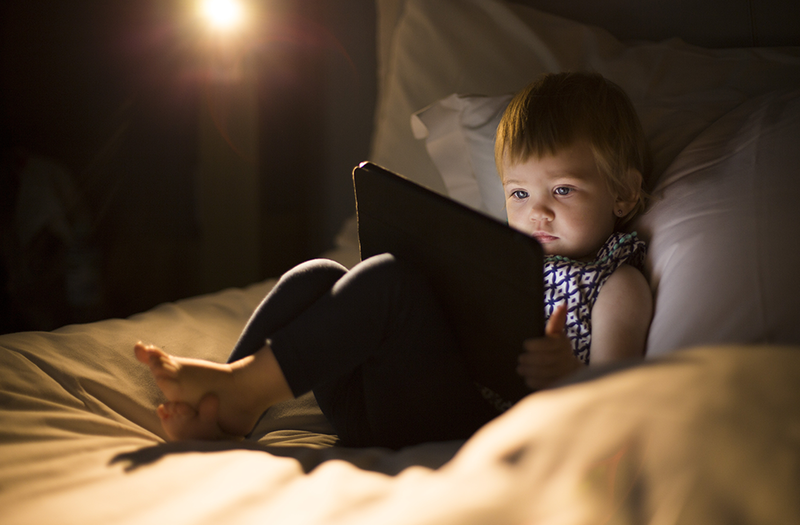 Excessive screen time has also been found to disrupt sleep patterns for children of all ages. According to a recent study conducted in China on 8,900 preschool children (three to six years old), those who had higher amounts of screen time were more likely to have behavioural problems, and had less sleep overall. Furthermore, screen time can interfere with the development of important cognitive skills, such as the ability to focus and acquire language and vocabulary. A 2014 article published in the journal Childhood Education entitled Extending the Global Dialogue about Media, Technology, Screen Time, and Young Children stated that ". . . excessive screen time has been linked to childhood obesity, sleep disturbances, poor school performance, hindered peer relationships, and the undermining of learning." The American Academy of Pediatrics estimates that neural growth occurs at a rate of 700 new synapses per second during early childhood, more rapidly than at any other period of life. Screen time can be particularly harmful for infants and toddlers who are developing new synapses at an incredibly rapid rate. Exposure to digital technology during those early years can have negative consequences later in life. Recent studies suggest that children need direct interaction with caring adults and their peers in order to have a strong foundation in brain development, social abilities, and overall health and well-being. For school-age age children, the Canadian Paediatric Society currently recommends spending less than two hours of screen time a day (screen time for infants under two years old is not recommended); updates to these guidelines are expected next year. Meanwhile, the Public Health Agency of Canada reports that 74.5 per cent of children and youth exceed the Canadian sedentary behaviour guidelines for screen time. Data collected from over 50,000 Canadian students in Grades 6 to 12 found that youth spend an average of 7.8 hours of screen time a day, five hours more than the recommended amount. The quality of programming is another consideration; not all screen time is equal in value or harm. Given that technology is now a large part of how children learn, play and connect with others, it is difficult to imagine cutting it out completely. Many parents are struggling with the question "How do I manage my child's screen time?" Screen time should be balanced with other activities such as free play, hobbies and outdoor activities. When children have more activities in their day that don't require any form of technology, this reduces the amount of time spent in front of a screen. It is important to remember that children learn better by doing than by seeing. Interpersonal or in-person interactions are necessary to learn important social skills, like problem-solving and reading social cues. Being physically active is also critical for mental well-being. As you work towards managing screen time, ensure that your child has support in choosing alternative activities. Many children participate in structured activities, like organized sports, music lessons or dance classes. While these do help to reduce screen time, there is even greater value in unstructured play or "free play." 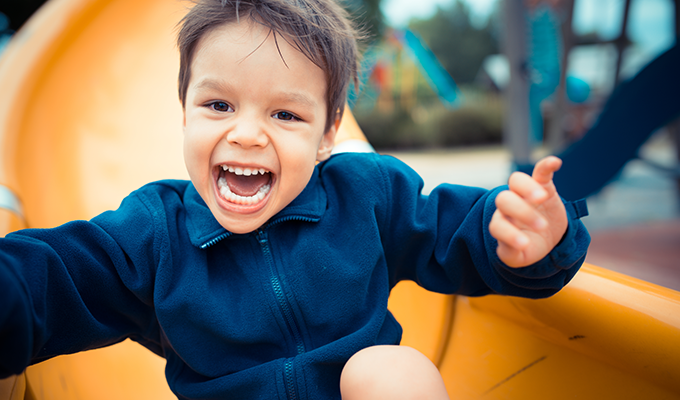 Free play time provides an opportunity for the child to learn important social-emotional skills such as emotional regulation, conflict resolution and having empathy for others. It also helps to develop creativity and imagination, which support healthy brain development. Although parents and caregivers may be tempted to come up with specific ideas for children to reduce their boredom, it is useful for your child to problem-solve and find their own ways to use their time. Parents can support this process by helping their child to make a list of screen-free activities. Your child is more likely to follow through on decisions if they are included in the planning, and if they are able to choose activities that are of interest to them. Engaging in a variety of activities will allow your children to explore other talents and build their confidence and resilience. 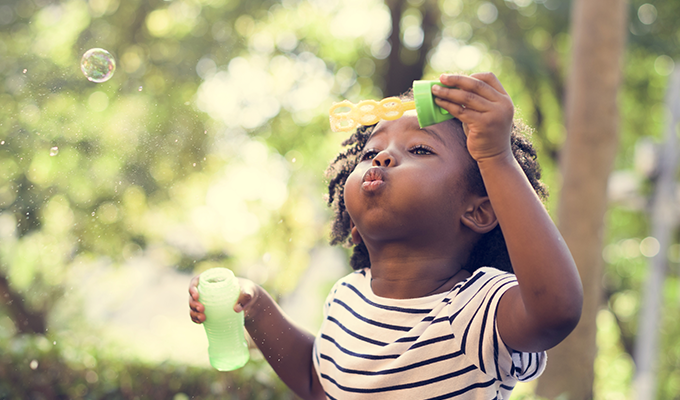 The more children engage in a variety of activities and have fun with them, the more likely they are to resort to screen-free activities when they are home and looking for something to do. By managing children's screen time at an early age, parents are helping their children develop healthy habits and balance in their daily routines, which will help them as they navigate through adolescence and into adulthood. Of course, it is never too late to start managing screen time. Anyone can benefit from finding a balance of screen time and "real" time. The outcome will be better overall health for everyone in the family. Julie-Anne McCarthy is a mental health promotion program specialist with the Winnipeg Regional Health Authority. The column was originally published in in the Jan./Feb. issue of Wave. Track how much time your child actually spends in front of a screen outside of school (you may be surprised). Engage in the screen-time activity with your child and be aware of the content. Discuss as a family the reasons why managing screen time is important for everyone. Create a family media plan or establish household rules that help manage screen time. Keep electronics out of the bedroom. Cellphones and other devices can be charged in other rooms. Turn off the TV and set aside other electronics during mealtimes. Other activities, such as homework or active play time should come first. Be a positive role model; parents also need to demonstrate that they value time away from their phone and other screens. Read a book for pleasure; explore the library for inspiration. Play board games or cards; have a game night. Go for a walk; run an errand together. Build a snow fort, or shovel the walk. Learn a new skill, such as Hacky Sack, juggling or dancing. Cook or bake together; get children involved in meal or snack planning and preparation. Doodle, colour, paint, build, or make crafts. Volunteer: find ways for your family to help others in your community.